(2010) Take it easy, every night of the week! This Lane Furniture Murano recliner gives you the ultra-soft feel of microfiber upholstery in a fashionable modern design that brings comfort to any room. For added coziness, a rocker frame allows the recliner to sway back and forth. Wallsaver base lets you place the recliner closer to the wall without hitting it during recline. This convenient mechanism saves space in the room while preventing damage to your wall. 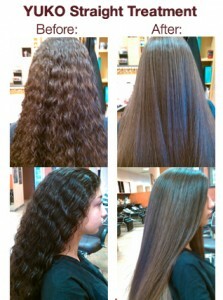 (2011) Launey’s Club Salon donated $300 in salon services to bring out your most amazing inner and outer shine! Since 1994, Launey showcases his great passion for the latest trends, new techniques and products on hundreds of satisfied clients at both of his Tempe locations. Step inside Le Chalet and enter a little European village right here in Arizona! An overhang of the bar looks reminiscent of a chalet is located near a mountain ice-caped stage. Ski or snowboard on by and stop for a bite to eat… Enjoy the specialties of the house at this authentic French Swiss creperie & fondue restaurant. A great place for a unique meal, live music on the weekends, happy hour drinks or espresso and dessert! Happier hours are between 3-6 PM – take $2 off all bar drinks including cocktails, beer and wine. (2011, 2010) Dinner for two with menu of one Swiss Cheese Fondue, 10 oz. “La Potence” sirloin flambeed tableside by the chef plus 2 sweet crepes. (2010) Legacy Golf Course donated a foursome of golf, including carts! Built on the ranch once owned by Dwight B. Heard at the turn of the century and named one of the top ten courses to play in Phoenix by Golf Digest magazine, the Legacy Golf Resort offers challenging golf mixed in with Arizona history and the Heard legacy. Get on the course and become a part of the legacy!